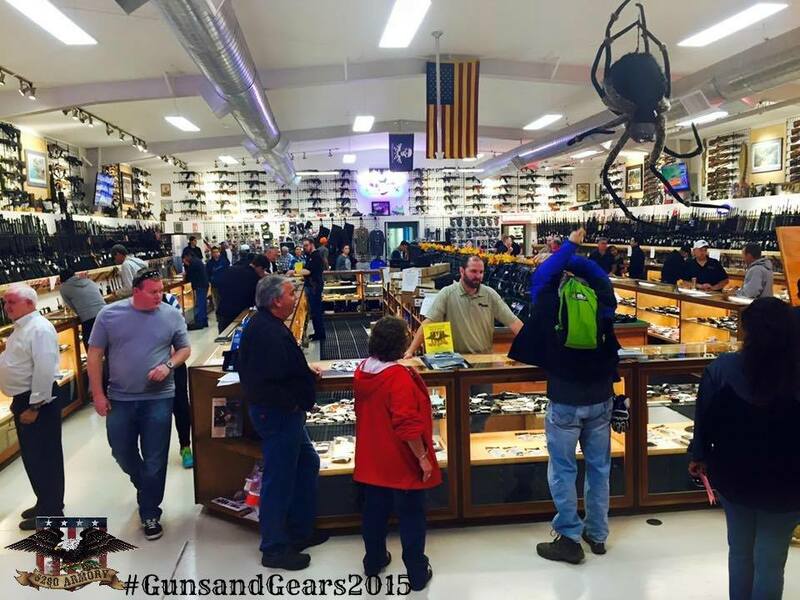 A very special THANKS our loyal customers, our 5280 Family, for attending our event this fall! 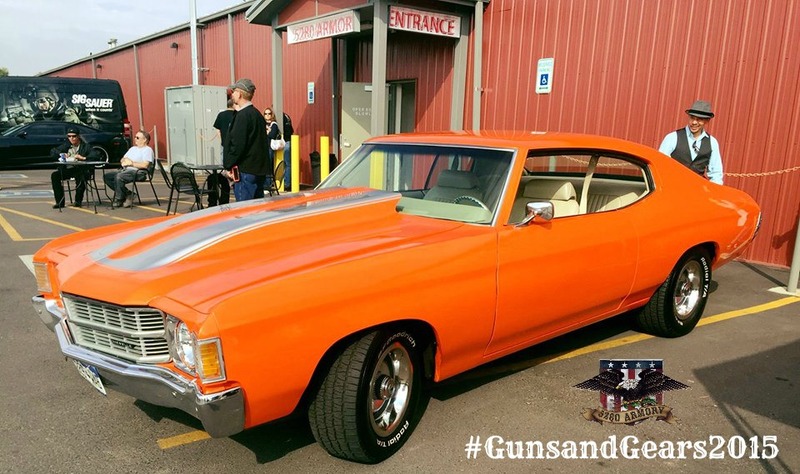 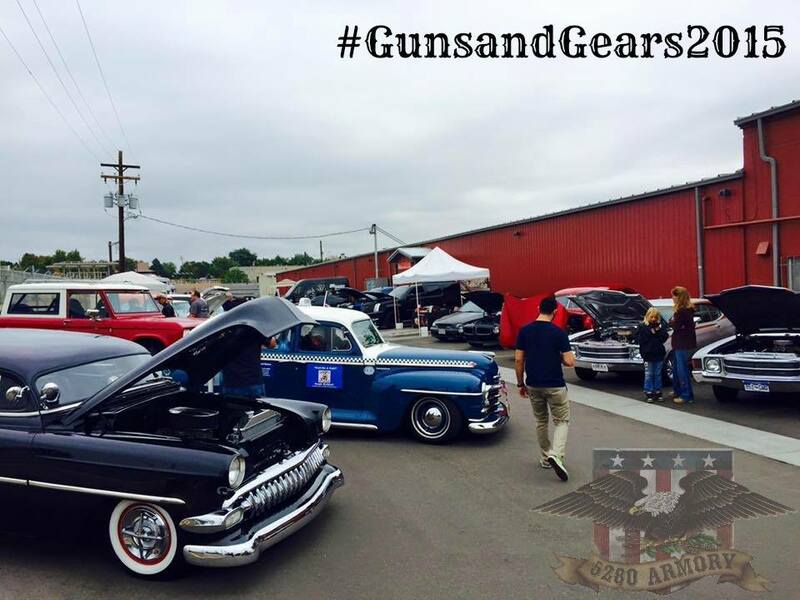 Also many thanks to our special guests, Simply Storage of Arvada, Michael Brown of 630 KHOW, Willie B. from 106.7 KBPI, Jerri’s Fine Wine and Tobacco, Sun Harley Davidson, Sig Sauer, H&K, CZ, and Sneakers! 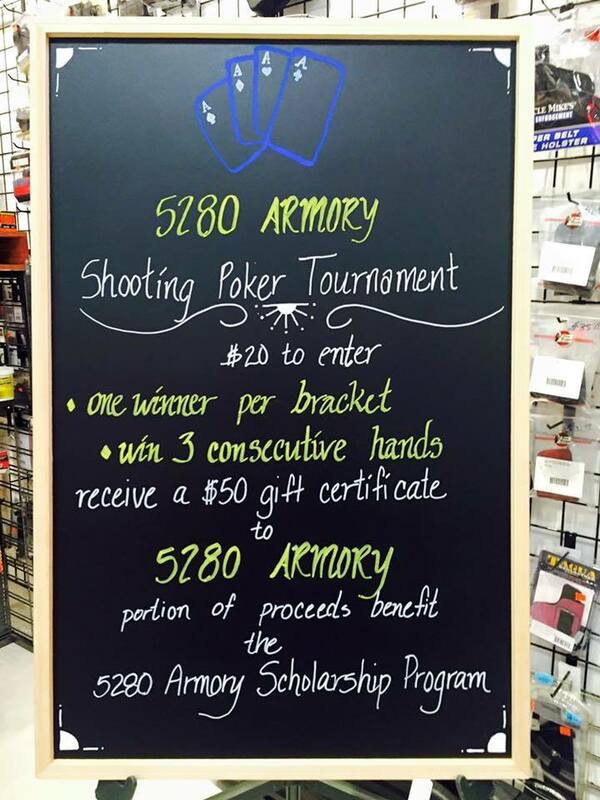 For $20 per bracket, we hosted our 5280 Armory 5- Card Shoot. 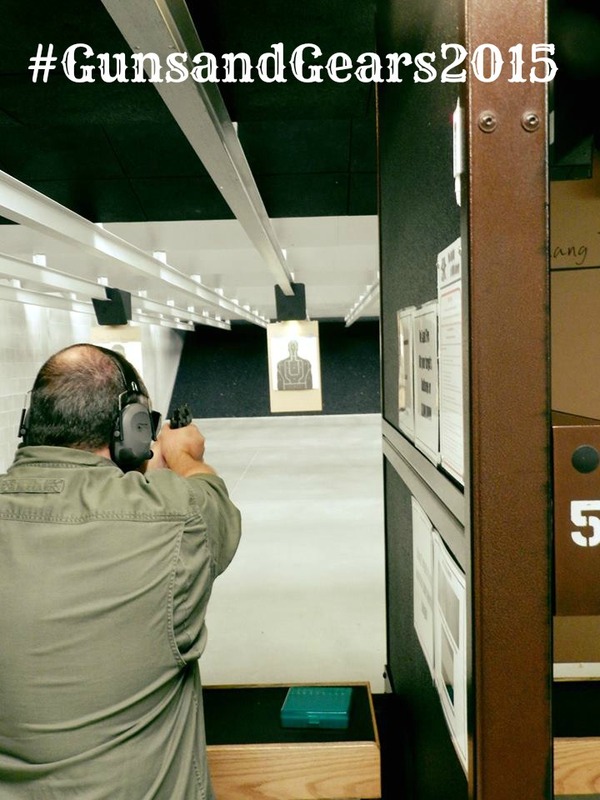 Ammo, firearm and target were provided. 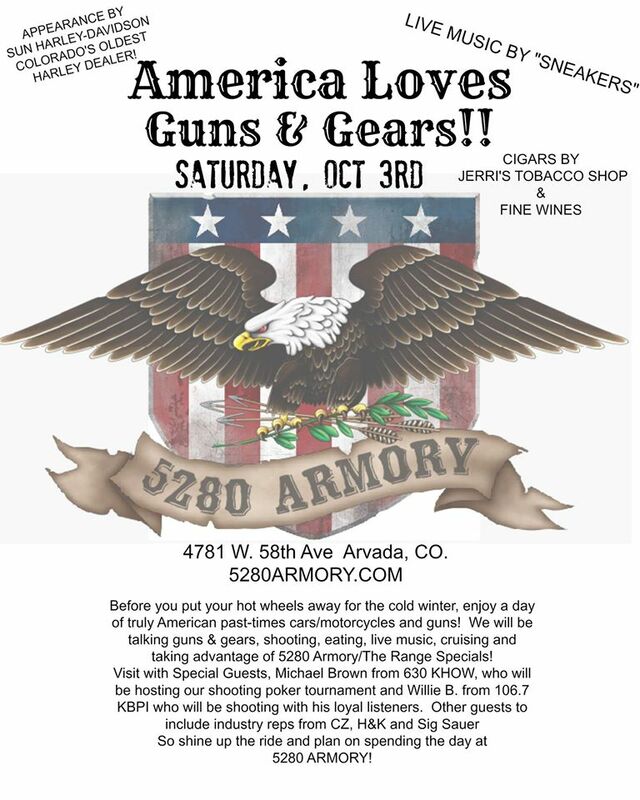 One winner per bracket won a $50.00 gift certificate to 5280 Armory and a portion of the proceeds from this event went to the Friends of 5280 Armory Scholarship Fund! 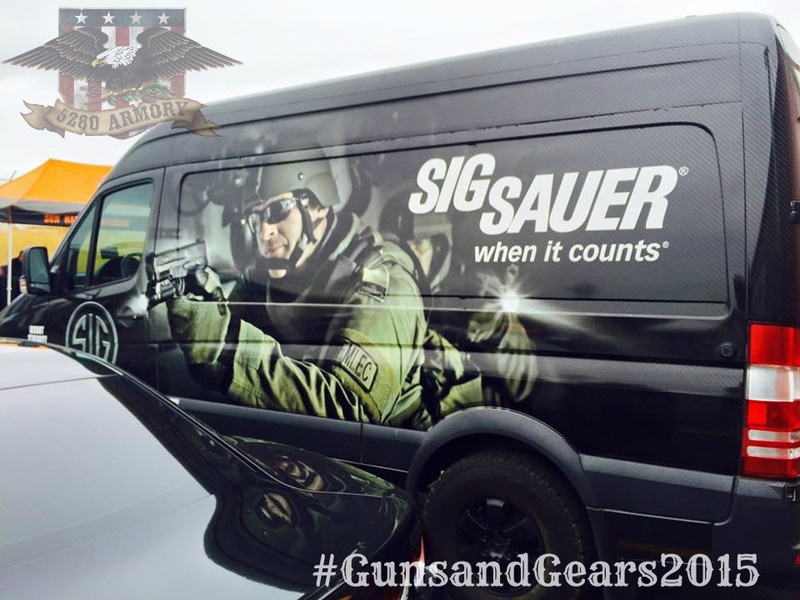 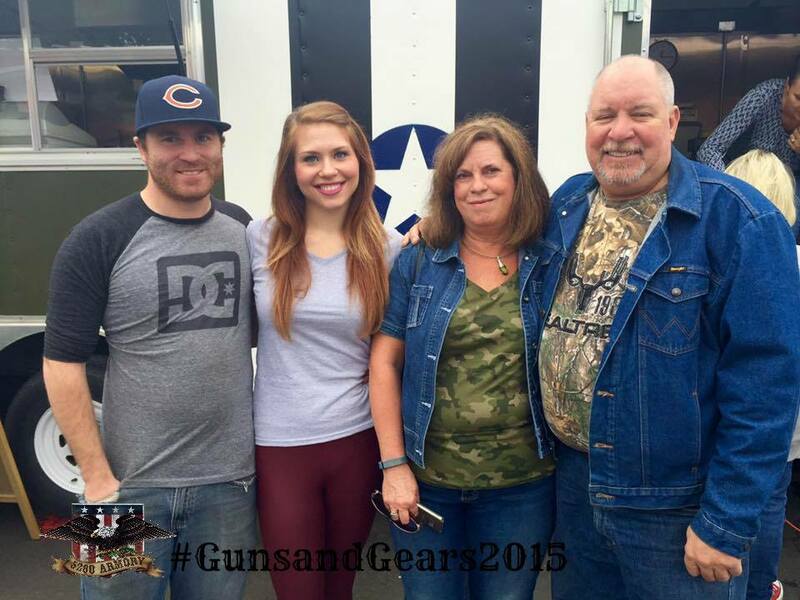 Firearms Industry Reps from CZ, Sig Sauer and H&K were on hand talking guns! 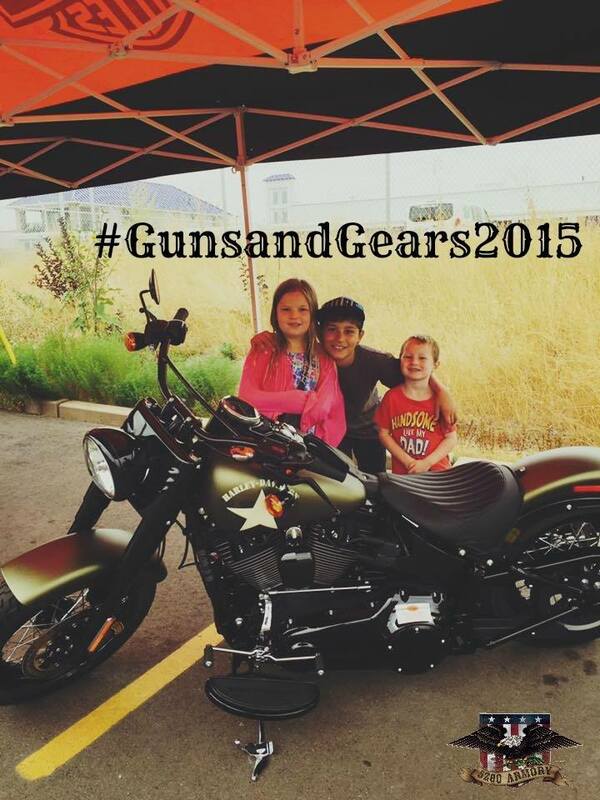 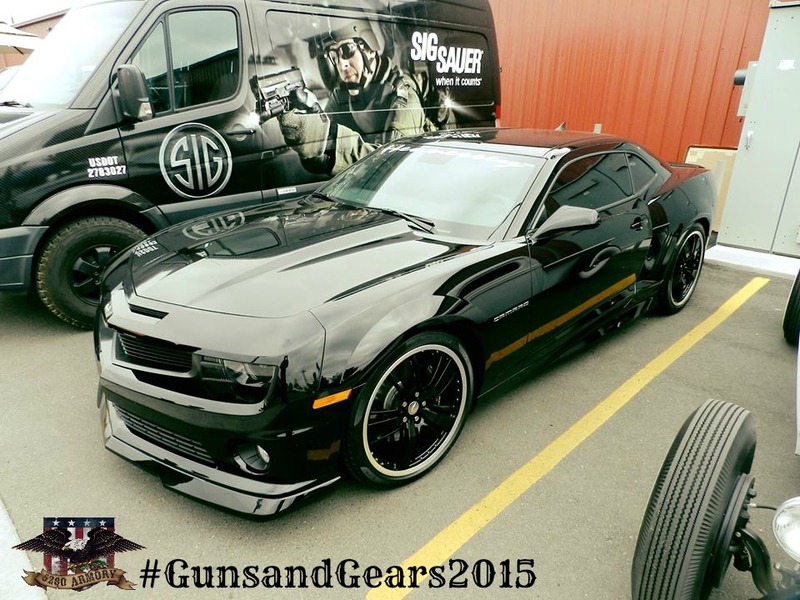 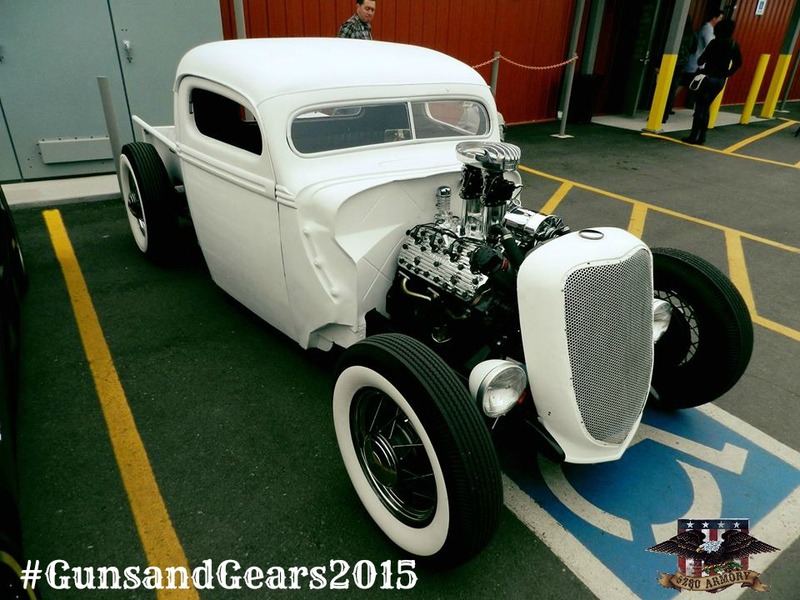 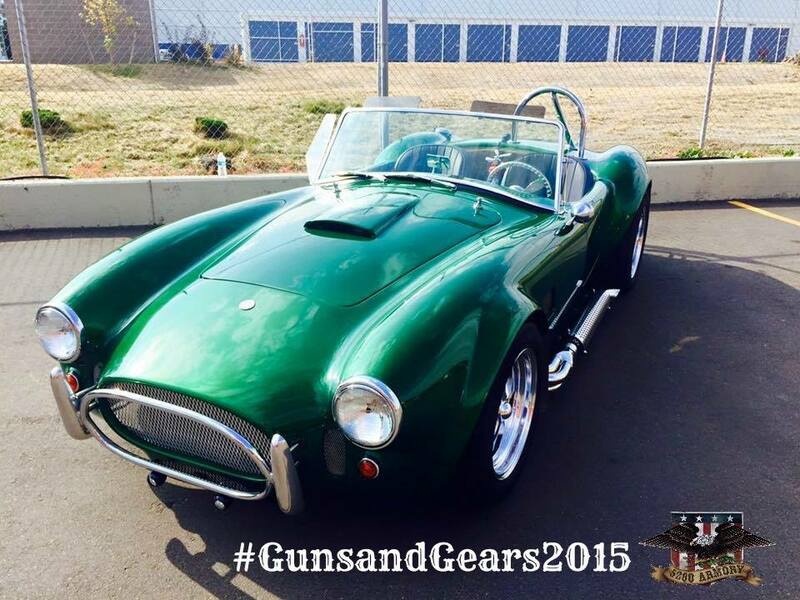 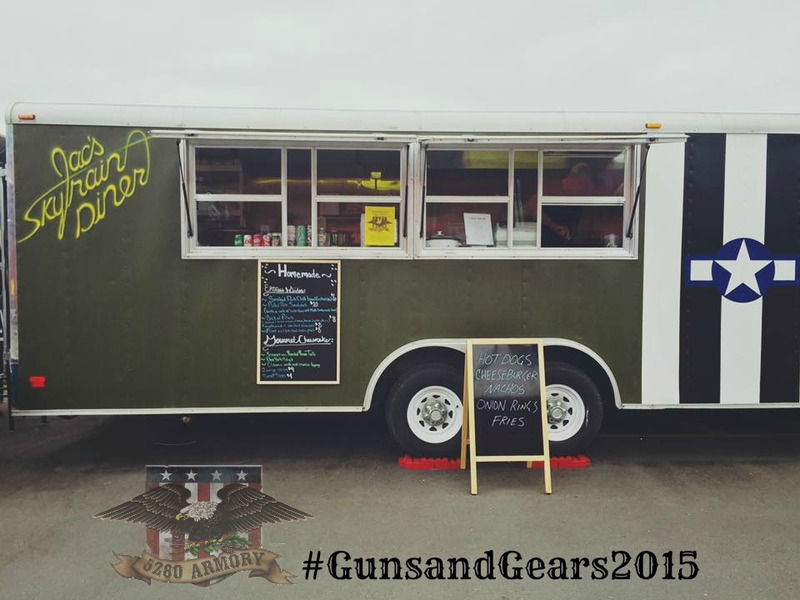 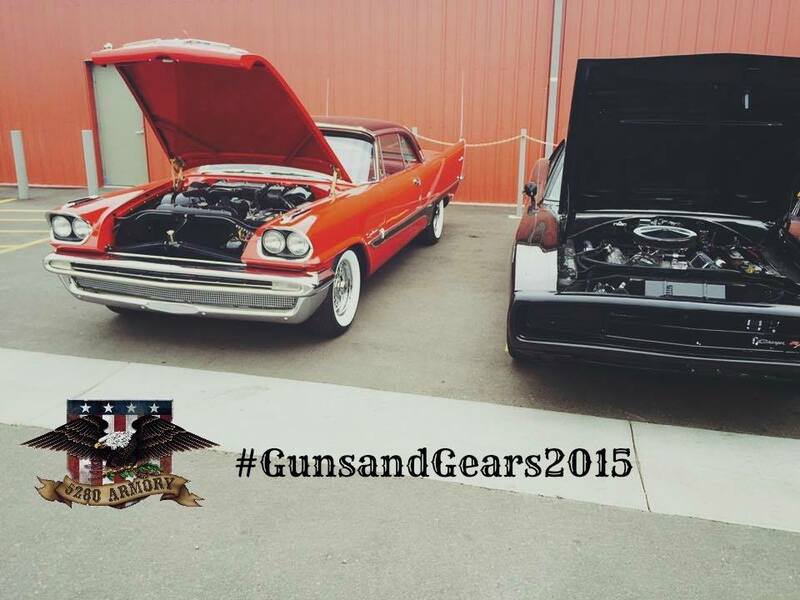 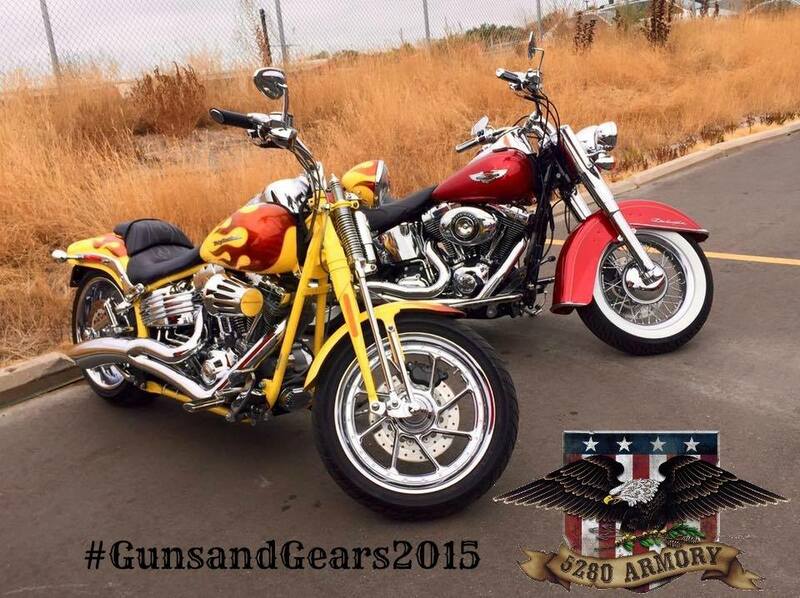 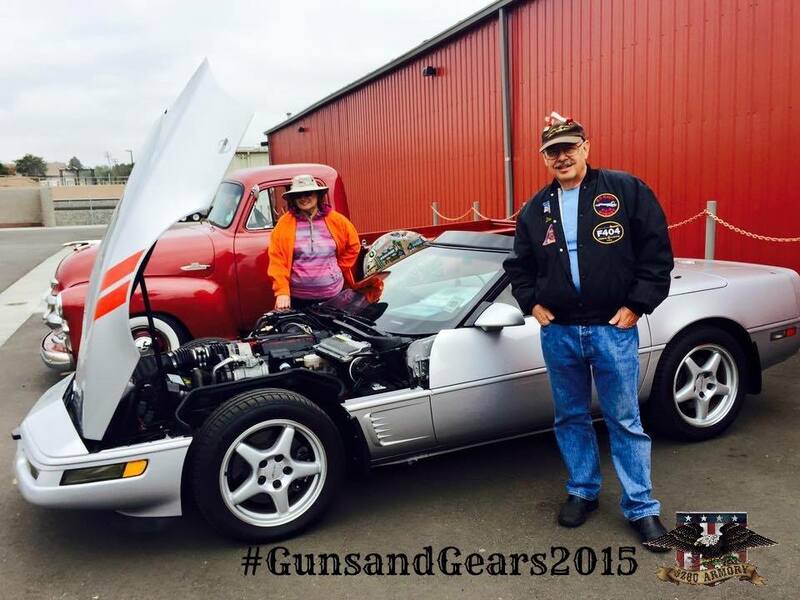 Nothing compliments Guns & Gears than a great cigar! 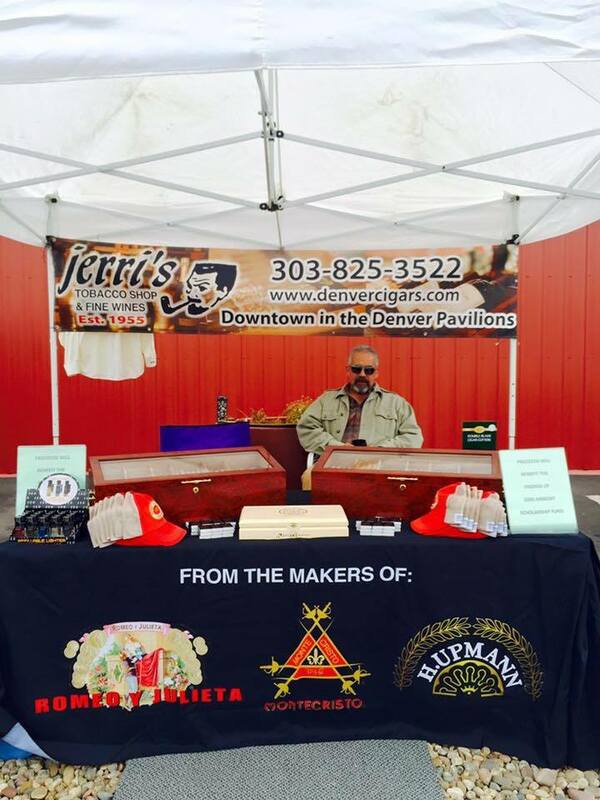 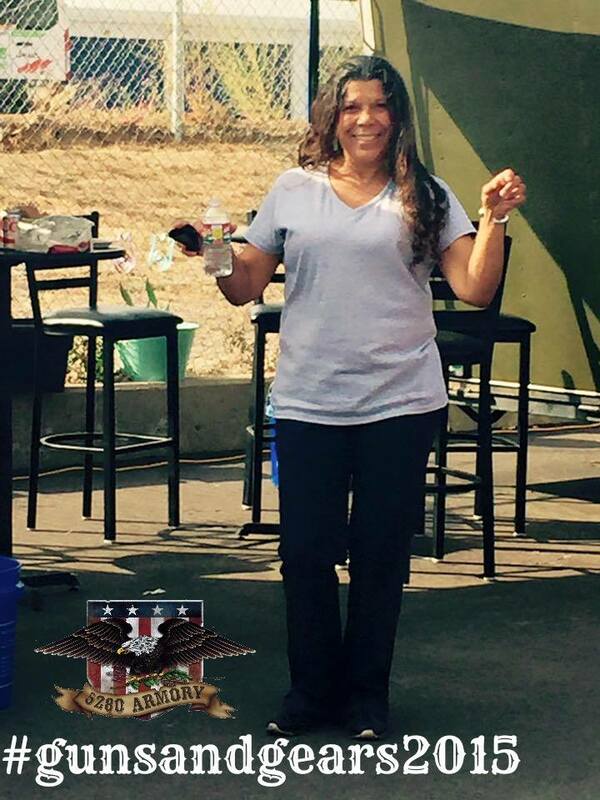 Special Guest, Jerri’s Tobacco Shop & Fine Wines, was on hand to satisfy your cigars needs! 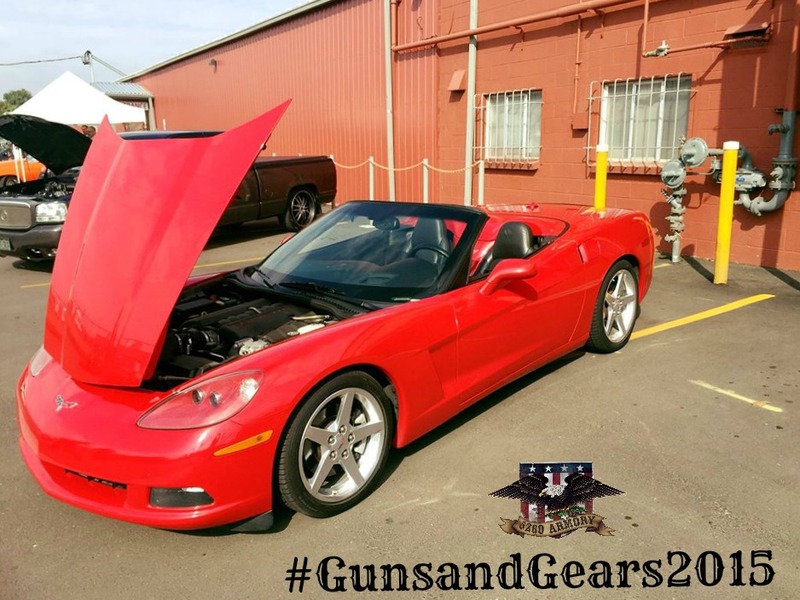 At the end of the event, Jerri donated a portion on his proceeds to The Friends of 5280 Armory Scholarship fund, raising an addition $175.00 to help students pay for college! 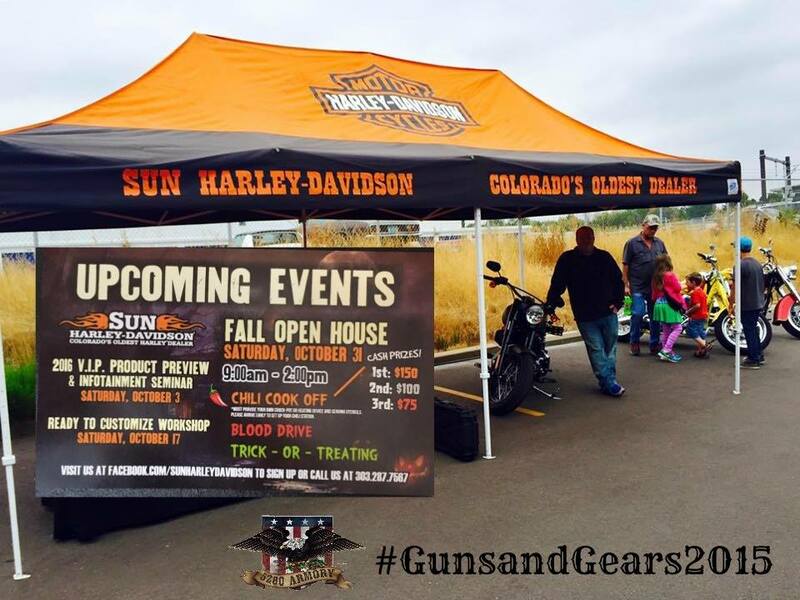 Special Guest Sun Harley-Davidson, Colorado’s Oldest Harley Dealer and Sun PowerSports was on-site with some fantastic displays! 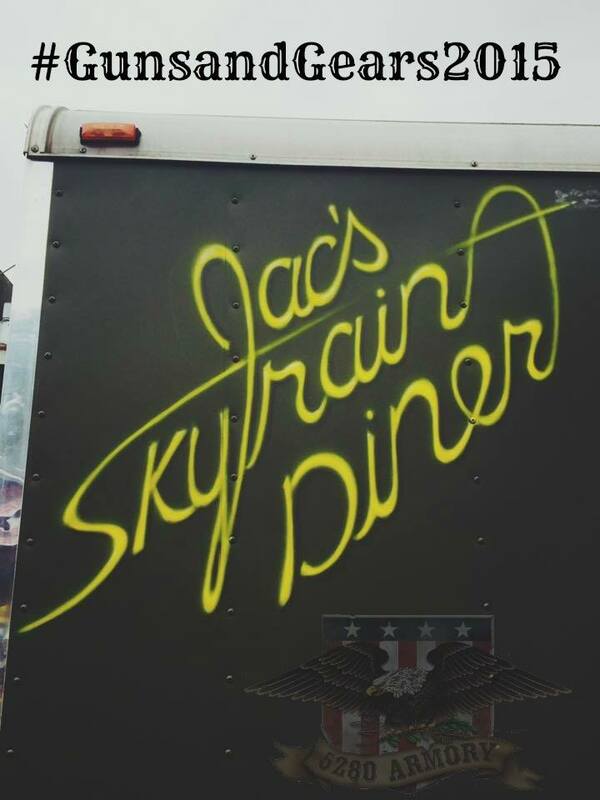 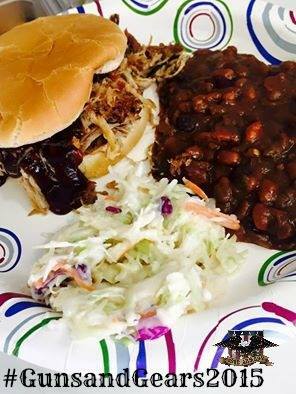 We KNOW you worked up an appetite shooting, dancing and cruising so many folks enjoyed the GREAT food at JACS SkyTrain, featuring smoked pulled-pork sandwiches, homemade green chili and cheesecake-as well as burgers, dogs and fries! 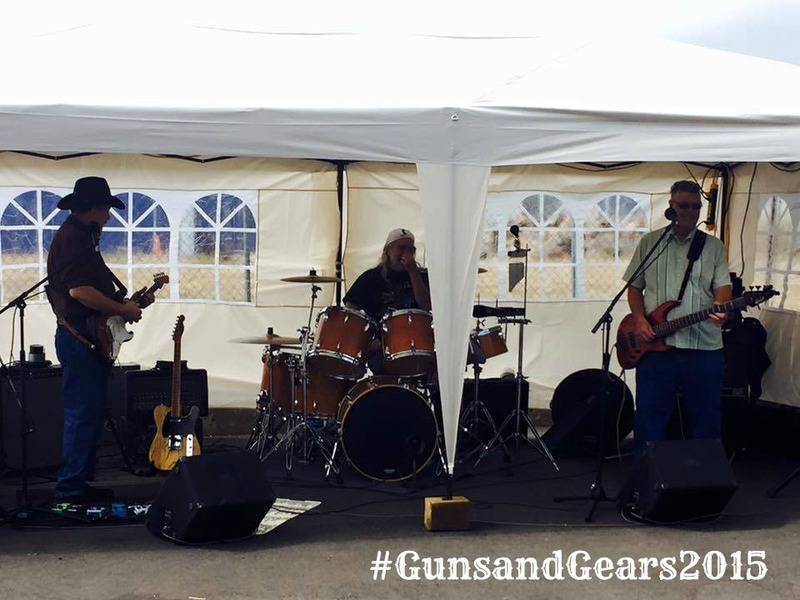 We grooved to the beat of Classic/Southern Rock by “Sneakers”!